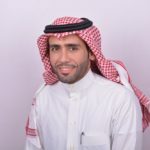 Turki is a research associate focusing on electric power systems modernization and decision-making frameworks. Before joining KAPSARC, he worked for the Advanced Power Engineering Laboratory in Fort Collins, Colorado where he conducted research related to optimizing electricity market deregulation, the economics of Smart Grid, multi-criteria decision-making models, and fuzzy set theory. Prior to that, he worked for Woodward in the U.S. as an economic analyst focusing on the natural gas industry and markets. He also worked for ABB-Saudi Arabia in electric power systems design, protection and control, commissioning, and development. Turki is a certified modular advanced control (MACH2) engineer for flexible AC transmission systems and a member of the IEEE Power and Energy Society. The emirate of Abu Dhabi was the first in the Gulf Cooperation Council (GCC) to design and implement reforms aimed at moving away from a wholly government-owned vertically-integrated electricity market structure. From 1998, Abu Dhabi introduced several policy, legislative, structural and institutional reforms to its electricity sector and the related water desalination industry. This analysis discusses reform initiatives, restructuring activities and key market players as well as the challenges and opportunities associated with increased participation in regional electricity trading. 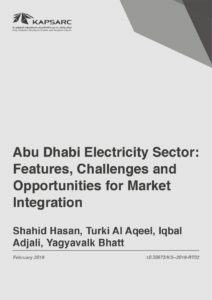 Key features of the emirate’s electricity market and challenges and opportunities associated with cross-border electricity trading include: Maintaining economically competitive self-sufficiency in power. Reducing the cost of electricity procurement by using regional interconnections is thus an emerging driver for market integration. With lower peak demand growth projections and the commissioning of a 5.6 gigawatt nuclear power plant, Abu Dhabi’s electricity sector is likely to produce larger power surpluses, encouraging cross-border electricity trading opportunities. The current single-buyer model provides limited ‘implicit’ competition in the procurement of bulk supply. There is little or no pressure on power generators to compete with others in day-to-day operations. Power trading prospects are also hampered by the lack of volume- and time-specific marginal costs. Abu Dhabi’s electricity and water producers do not receive explicit fuel subsidies. However, electricity tariffs are still heavily subsidized for many residential consumers. Abu Dhabi is exploring several options to further liberalize its electricity market. Electricity trading is likely to be recognized as a separate licensed activity, which is expected to give fresh impetus to electricity trading within Abu Dhabi, across the United Arab Emirates and throughout the Gulf region. The paper is part of a KAPSARC research project to develop insights that can facilitate the creation of a well-functioning integrated electricity market among members of the GCC and wider Middle East and North Africa region and to suggest potential enablers that could help to fill existing knowledge gaps for policymakers in the region and to facilitate ongoing efforts toward regional electricity market integration.